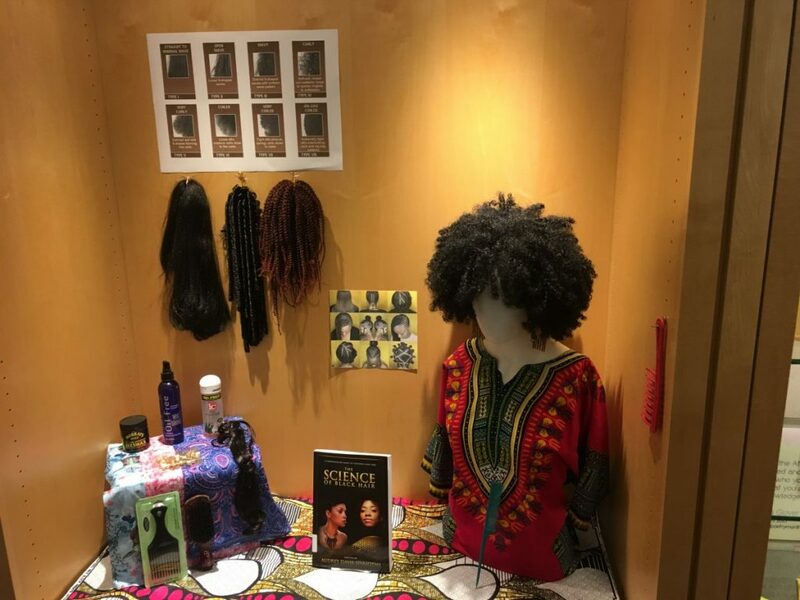 The collaborative, locally sourced, internationally themed, contemporary and historical exhibit “Hair Me Out” is now installed on the Upper Level of the Davis Family Library and includes multimedia components in the atrium. 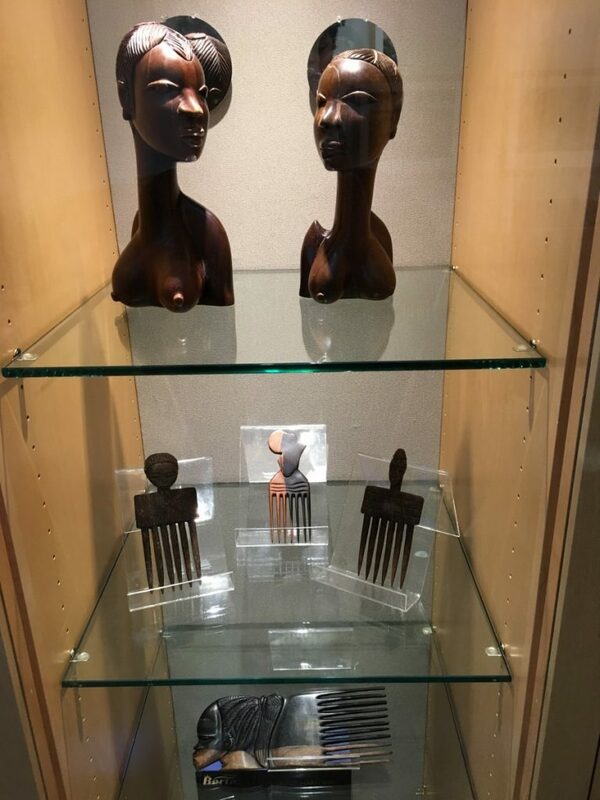 It explores the political, diasporic and stylistic phenomena surrounding Black hair from all around the world. This exhibit will be installed from February 21st through March 20th. Stop by to see it and visit go.middlebury.edu/hairmeout to see its digital representation. KS: It is! And all credit goes to our punny Jade Moses! 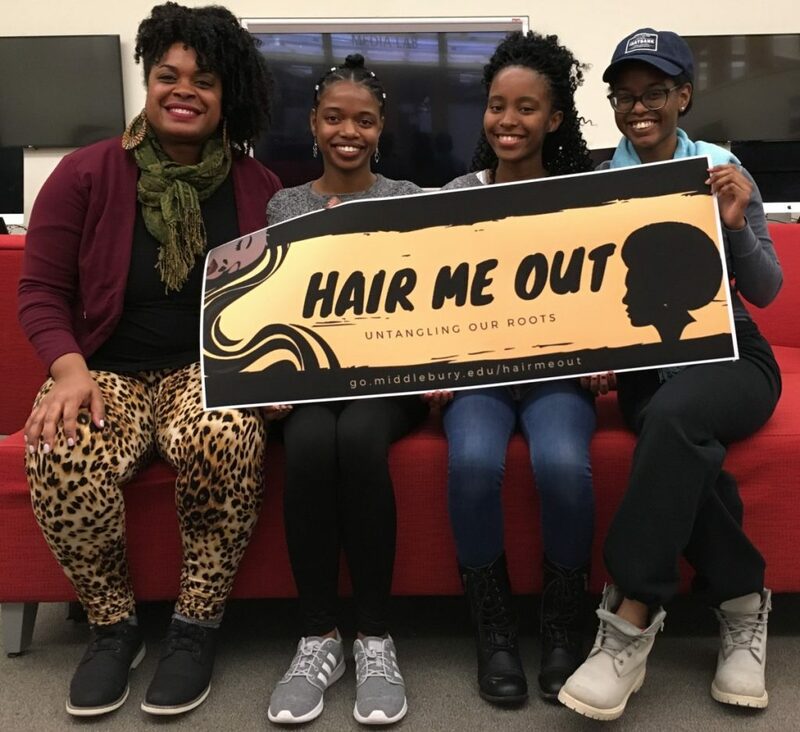 Installed from February 21st through March 20th, the Hair Me Out exhibit is an opportunity for Black staff, students and faculty to showcase many of the ways we engage with our hair. 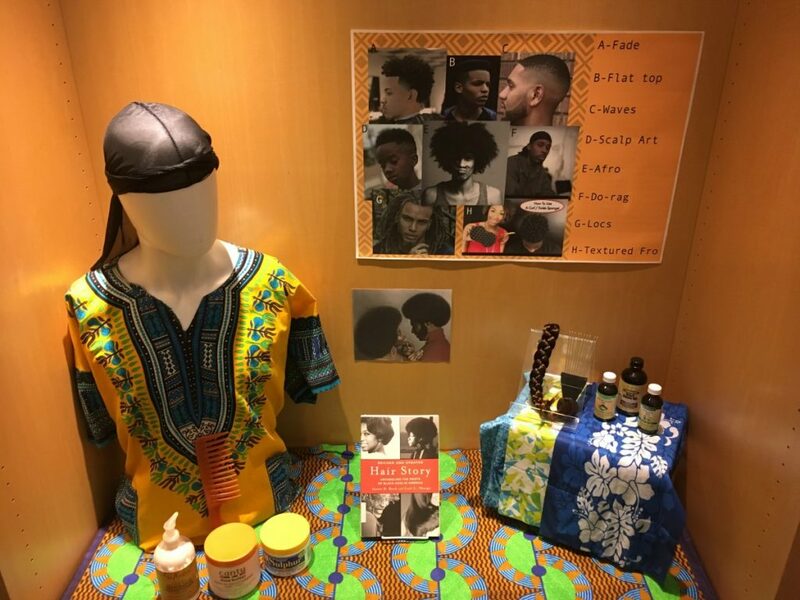 The texture of our hair is one of the most definitive markers of our ethnic and racial identities and has suffered a great deal of persecution for centuries and even today with bans of dreadlocks (2012), Afros (2016) and braids (2017) still happening in schools, on work sites and in the armed forces in the United States, in parts of Africa and throughout the Black diaspora. 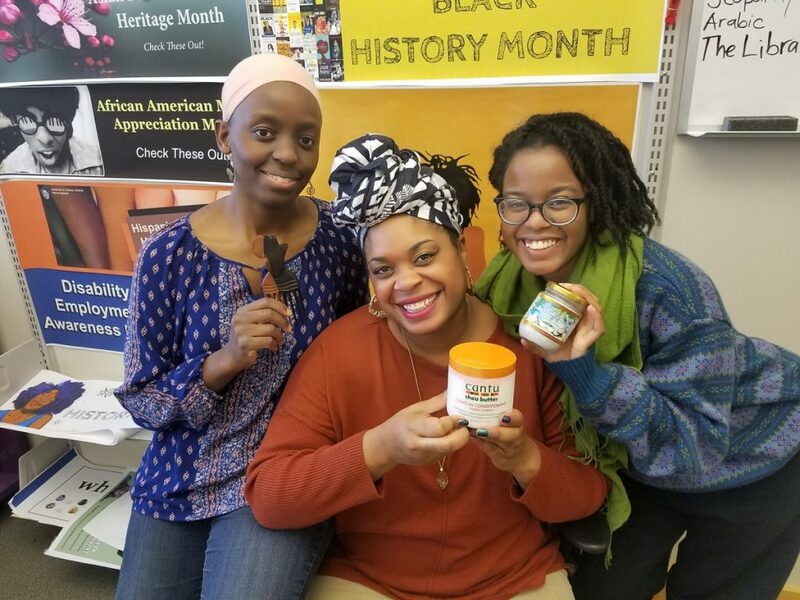 The rise of the natural hair movement has invited Black peoples to re-embrace our hair in its natural state and has granted Black peoples license to appreciate our hair anew. 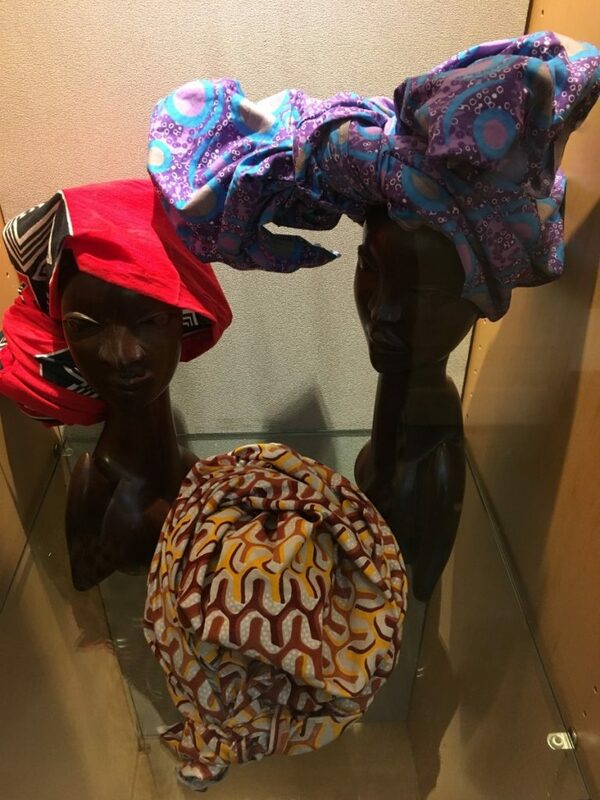 A variety of styles and testimonies can be seen on the exhibit’s digital home page at go.middlebury.edu/hairmeout. 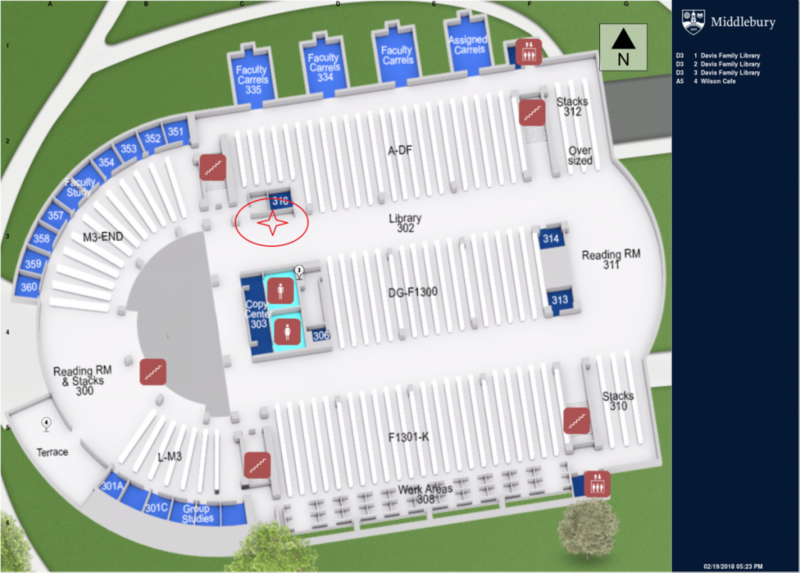 The red star on this map displays where the Hair Me Out exhibit can be found in the Davis Family Library, on the Upper Level, near the elevator, northwest corner of the building. Not only do you do remarkable displays, you do remarkable write-ups about them. Thanks, Bren! Stay tuned for more!